By Rex Briggs Voice Network Badge Voice Network contributor, an ongoing writer for our guest opinion column. Perhaps there's an easier way to market and reach consumers. There is a secret that your media salesperson doesn’t want you to know. You may be surprised to learn that your media buy, despite the suggestions made by many salespeople, is not the most influential factor driving the performance of your marketing effort. Research from Yankelovich Partners and other marketing experts estimate that most Americans are exposed to around 4,000 to 10,000 ads each day. That’s a lot of opportunity for influence. That’s not to suggest that the ongoing proliferation of entertainment and news options available with cable television, non-terrestrial radio, email, social media and the myriad distractions popping up almost every day are going away. Google recently announced it is giving advertisers the ability to buy programmatic audio ads through its DoubleClick Bid Manager. Over the past few years, digital channels have wholly redefined the audio space with millions of consumers creating a highly-personal experience streaming music, news, podcasts and audiobooks that they choose. We often talk about marketing ROI as if it is a fixed and immutable number. However, in a world with thousands of options, savvy marketers are reevaluating their media buy and finding alternative lower-cost and higher-impact channels to get the right message in front of the right audience at the right time. Since ROI, at its core, is a function of performance over cost, this strategy can unveil new options that unlock the ability for every media dollar to drive higher results. Low-cost media may look good on paper, but if they don’t drive sales, it’s just like relying on empty calories to fill you up: They’ll fail to make your business stronger. Of course, it’s important to find independent, unbiased measurement tools to discover the strategies that genuinely work and learn from the tactics that didn’t. For quite some time, marketing executives have been asking for more robust analytics and data to assess the effectiveness of their advertising campaigns more accurately. However, with no clear industry standard for measurement and reporting, there’s a lack of much-needed transparency within the multi-billion-dollar world of advertising. Beware of measuring advertising impact based on anything other than business results. Low-cost media may look good on paper, but if they don’t drive sales, it’s just like relying on empty calories to fill you up: They’ll fail to make your business stronger. As you explore new channels, it’s also important to pay close attention to potential interaction effects. Consumers do not consume advertising via a single channel; in fact, there have never been more channels for reaching audiences. This means that measuring a unique medium in isolation will exclude significant information about how different messages in different media interact. A publisher or media outlet can miscount the effectiveness of the channel they measure when the advertising succeeds only in combination with messages from other channels that they might not measure. It’s important to remember that people are influenced by a combination of messages across various media. Without measuring the full picture, marketers will likely gather inaccurate results, and the ripple effect can deeply impact business outcomes. Gone forever are the days of three broadcast networks, a few radio stations and a local newspaper. Now more than ever we have the tools—and the opportunity—to hack marketing efforts for a competitive advantage in a crowded marketplace. Today’s marketing professionals are better served asking salespeople and media buyers the questions, “Can you deliver a 20 percent increase to my ROI over our last campaign? How can we work together to test and learn new ways to make my marketing efforts and my business more successful?” That is a conversation worth having before the end of the day. 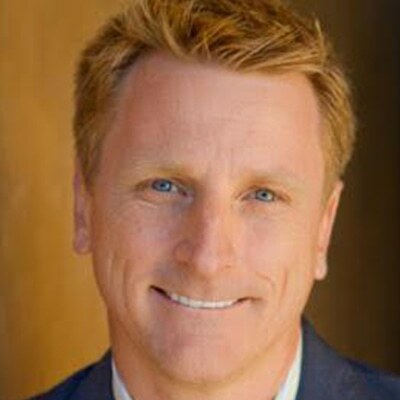 Rex Briggs is the founder and CEO of Marketing Evolution.